Slash featuring Myles Kennedy & the Conspirators will embark on a North American tour this fall in support of Slash’s upcoming album. The guys will kick off their tour Sept. 13 in the Los Angeles area and will run through an Oct. 11 date in Boston. For information and tickets, head to SlashOnline.com. 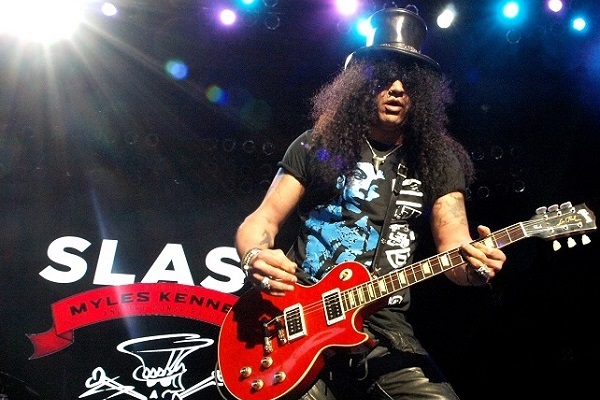 Slash’s upcoming tour includes headlining dates and some festivals, such as Louder than Life, Aftershock and KAABOO Del Mar. The tour also kicks off at the legendary Whisky A Go Go in West Hollywood, California, and runs through an Oct. 11 date at the House of Blues in Boston, Massachusetts.